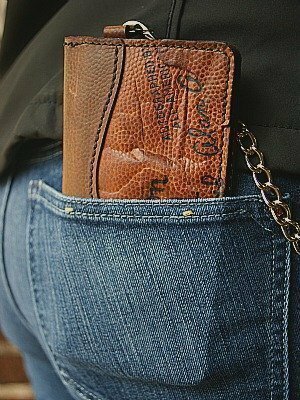 Lose your wallet much? Well… You can’t actually lose it when it’s attached, right? That’s what this chain does. Besides looking really snazzy… Wait! 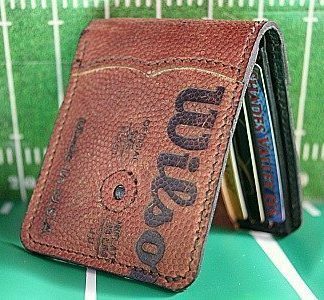 A wallet made from old football leather, too? How cool is that? We can even use your old football, if you let us. What d’ya think? 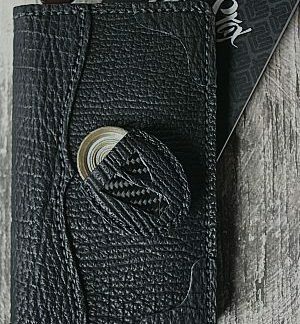 This is a custom, one-of-a-kind wallet. What kind of wallet suits you?